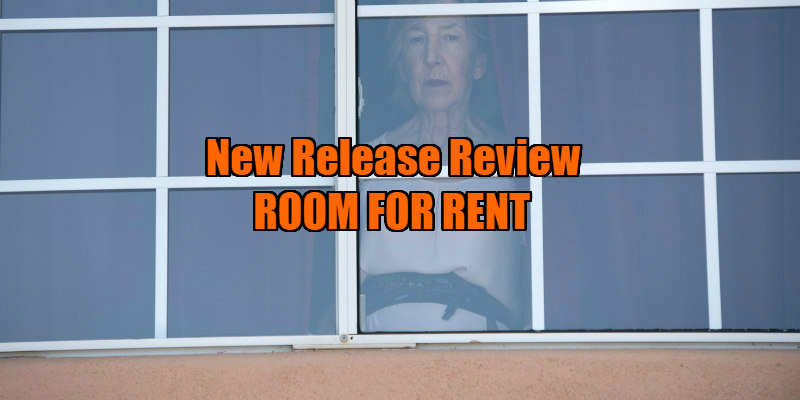 Fred is dead, and his "shell-shocked and aggrieved wife in public," "moving on faster than a u-haul in private" widow Joyce (Lin Shaye) is discovering he has left her destitute and without savings to continue life in the nice suburban cul de sac they retired to. Unsurprisingly her idea of renting her house out as a B&B doesn't quite take off as she had expected it to, as she insults one guest by calling him fat (he was a douche and deserved it, to be fair), and also insists on interrupting the troubled couple in her spare room with fresh cookies and the like as it is "her house." The friendship she develops with the short stayer Sarah, who has now ditched her previously mentioned douche husband and stayed in contact with the interfering Joyce, is a lovely touch; the mother-daughter connection they have is sweet and feels genuine. Her letters to Sarah mask the kind of day-to-day drudgery Joyce is really dealing with, her frightening interactions with a group of threatening locals hard to watch but of course never mentioned in the rosy letters she sends away. As an aside, to see her so frail and vulnerable when up against these young thugs is one of the most upsetting things about this film. When she encourages tough-guy-with-a-past Bob to stay with her it awakens a desire in Joyce to have a man in her life again and do it right this time. The fact that he is at least 40 years her junior and clearly not interested in her in a romantic way is not a deterrent at all. When Bob beats up the young hooligans who have been making her life hell, Joyce feels stirrings of protection from him in her delusion and she imagines he feels similarly towards her. This launches her embracing a more seductive side, but watching her parade about her house preparing meals for him in her finest off the shoulder blouses and tight skirts, tottering about in high heels to attract his desires, feels right on the knife edge between sad and pathetic. Her obsession with romance novels feeds into her misinterpretation of her relationship with Bob; perhaps she knows she's lying to herself, but we never really know and does it really matter? Then, when newly single Sarah comes back for a visit, Joyce’s different worlds seem set to collide, and it won’t be pretty when things come don’t go her way, it is HER house after all. 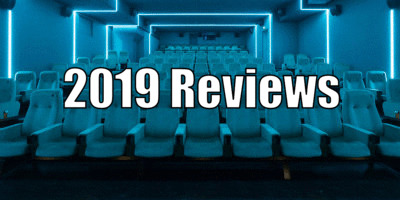 As directed by Tommy Stovall and written by Stuart Flack, this is a slow burn thriller that has a powerhouse performance at the centre, and with such a singular story, that is some vital casting. Shaye brings us a complex, fascinating, almost sympathetic 'villain' in Joyce, who knows how to play fragile, and knows how to appear helpless. But there’s a hidden manipulative and determined strength in this woman that she can bring out when it suits her. Shaye is a woman at the very apex of her talent at 75 and she is relishing every minute of it. She is ably supported here by a likable Valeska Miller as Sarah and to a lesser degree by meek Oliver Rayon as Bob. The smart voice-over - actually passages from the romance novels Joyce obsessively reads - ties in to some of the action we see on the screen; it is a quirky and cute idea that pays off in spades. I also greatly appreciated the short length of this movie, and that even at only 82 minutes it takes the time to advance the plot at a good but languid pace. This is sometimes awkward car crash viewing; you cringe at Joyce's overtures and appeasements, and dread the path she seems to be choosing; yet it is compelling to watch. However, I wont be keen on staying in any B&Bs anytime soon. 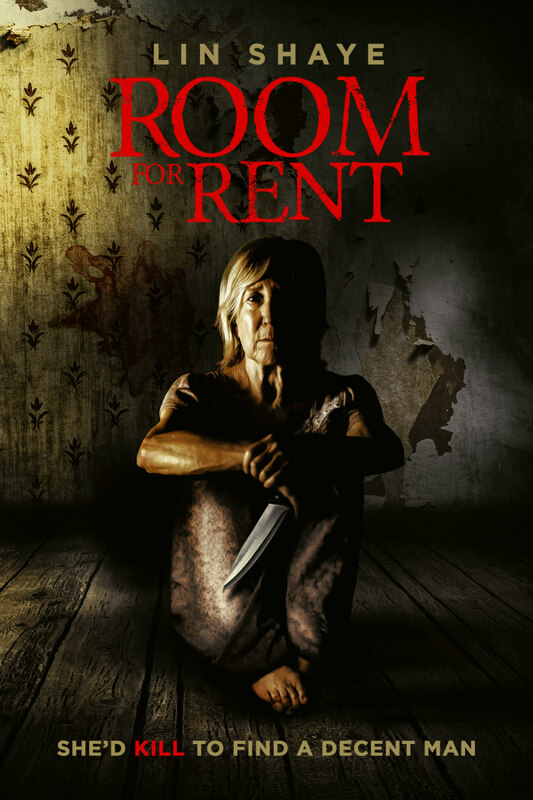 Room for Rent is on VOD May 7th.